Dreamgrow.com is a source of social media and content marketing information. We deliver actionable content that you can apply right now. Our goal is to give you tools that boost your social media marketing efforts to new heights. We collect ideas to help you shine as a marketer. You will be an asset to your organization and achieve better, measurable results. Dreamgrow.com contains our knowledge about all things related to social media and content marketing. We learn new things every day and post new material as often as we can. We look for fresh information on the web as well as adding our own experience from working with leading global brands. Priit is the editor and manager of Dreamgrow Digital, a content marketing and social media company. With his 20+ years internet marketing experience he is helping companies to understand and use the digital marketing to reach their target audiences. He has spoken at hundreds of seminars and conferences on different aspects of internet marketing. Priit is also the organizer of Digital Elite Camp, a leading traffic and conversion event. Newsletter – the best channel if you don’t want to miss anything important. Twitter – stream of pure social media marketing goodness, our own and curated. RSS feed – get the information as soon as it’s published. Facebook – our base on the leading social network. We post selected pieces there. Pinterest – constant flow of visual social media marketing information. 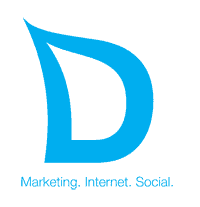 Dreamgrow is a leading content marketing and social media agency. We specialize in content marketing and social media services, training and consulting to deliver measurable business results to our clients. Our clients include such global brands as Stolichnaya, Cosmopolitan, Castrol GTX, FTD Flowers, Peugeot, Carlsberg Beer, and many others. Our internet marketing experience dates back to 1995. Yep! People already used computers back then. Our team of experts excels in all aspects of strategy, creative, and design. But don’t take our word for it. Talk to our clients. Then contact us to discover how DreamGrow can contribute to your future success! With roots in Northern Europe, we have a broad cross-cultural awareness, as evidenced by our team of professionals from the US and Europe—speakers of English, Russian, Estonian, Finnish, and other languages. Dreamgrow is headquartered in Tallinn, Estonia.